Cloud B offers sleep toys that can soothe your baby through sight, sound, scent, or touch. 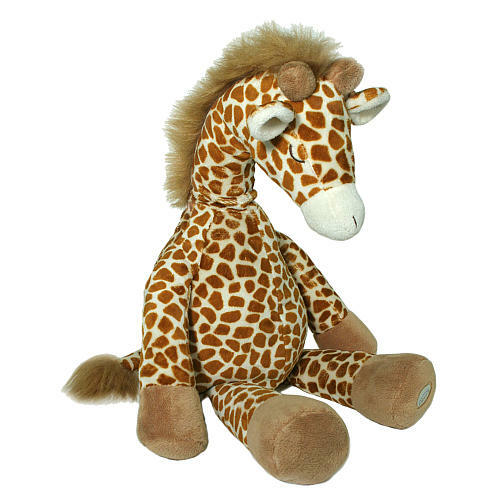 Sound toys include plush toys such as a sheep, owl, frog, giraffe, turtle, fox, and a host of other animals that contain a hidden sound box that your child can activate to play melodies. If your baby prefers soothing warmth and scent instead of sound, the Cloud B Cozies Turtle or Sheep includes a lavender wheat heat pack. The toys cost from $14.99 to $54.95, depending on which one you choose. You can buy them at CloudB.com/US/Shop.